This was drawn in late spring 2006 for the Amecon conbook, and I was honoured that it actually made the cover! 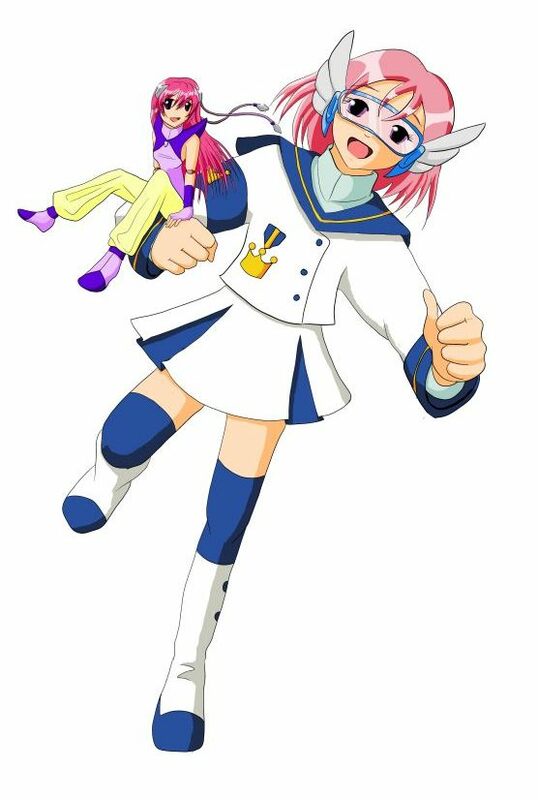 The character is Ame-chan, the Amecon mascot, dressed as one of the contestants from the series Angelic Layer. I used ComicWorks to ink this and Paintshop Pro to colour it - it's one of the first pieces I completed that way.